Have you got a plumbing emergency? If so our team at Plumber Clontarf are here to help. Our team are available 24/7-365 days a year for all your emergencies and general plumbing services. A member of our team can be out to you in under an hour for all of your unforeseen plumbing Problems. Our Clontarf plumbers undertake all plumbing works. No job too big, none too small. Our team take the utmost pride in their work. Our honest and open approach combined with our upfront pricing policy ensures no nasty surprises when the bill arrives. We know that is can be difficult find good reliable tradesman, our return customers rest easily in the knowledge that we offer the highest quality of service. Our “plumber Clontarf”guarantees parts and labor for a year and we are covered by full indemnity insurance. This provides everyone with total peace of mind and at a fraction of the cost of some other plumbing companies. Our team at Plumber Clontarf provide the following services. • Full bathroom renovations and kitchen installations. • Unblocking of all drains. We use jet flushing, drain rods and plumbers snakes. We have C.C.T.V. for inspection. • Plumbing household appliances such as washing machines and dishwashers. • Professional boiler servicing by an R.G.I. registered engineer. • All gas appliances installed such as cookers, hobs, fires etc. • Toilets, taps, sinks, baths, showers, bidets and wet rooms installed, replaced or repaired. • Leaking and burst pipes repaired. At Clontarf plumbers we provide the best possible services. We provide free call outs and professional no obligation quotes. We pride ourselves on our customer service, with no hidden fees or charges. We do not charge traveling time or parking fees. Our vans are always fully so we keep the time for sourcing parts down to a minimum. 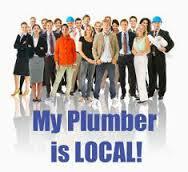 If you live in the Clontarf area and need a plumber call your local team at Plumber Clontarf today on 01-2844921.